"Whatever you think and focus on in your mind you attract into your life." Our Insta Hot Picks, the first for this new year 2018 capture dreams turn reality, the result of smart work. The artists in these pics are indeed the real deal through their work and deeds. Check them out! 1. 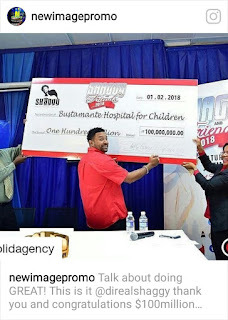 Congratulations Orville "Shaggy" Burrell on once again giving hope to many children and families in Jamaica and across the Caribbean. Raising $100 Million Dollars for the Bustamante Hospital For Children. According to Shaggy's Instagram post, 'all funds raised on our latest initiative will be used towards building our new ICU!' Now isn't that a Real Big Deal? 2. 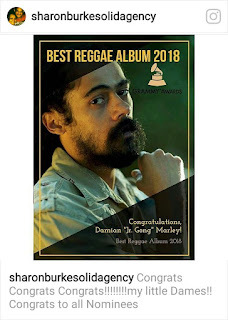 And the Grammy goes to......Damian "Junior Gong" Marley! Winning a Grammy is huge and even more so, representing reggae on such a platform is simply epic! 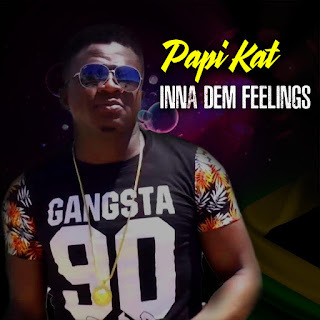 For the most part, recipients of the Grammys' Best Reggae album over the years have been Jamaicans. This music is enjoyed by millions worldwide, it is a legacy that must be guarded and protected. Its root must remain in its foundation void of competition. 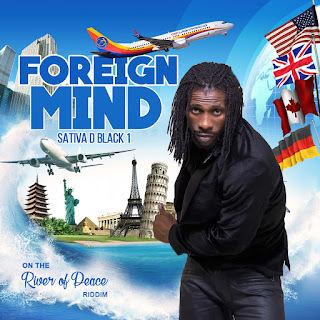 Whenever a Jamaican reggae artist wins on a world stage the future of all groundation artist is secured. That, is the big picture, the real big deal! 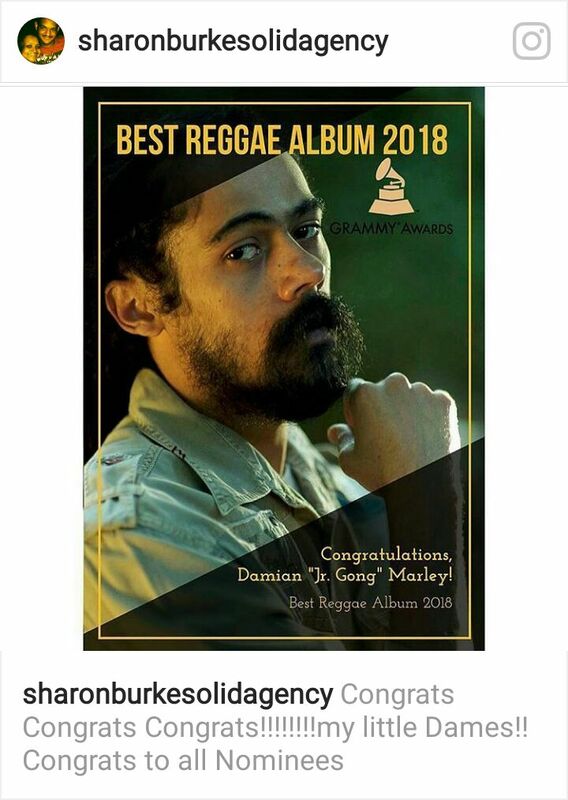 And on that note, we proudly say congratulations Damian Junior 'Gong' Marley on winning 2018 Grammys Best Reggae Album, "Stony Hill." We also say congratulations to Chronixx, Morgan Heritage and all the other nominees. Your drive, focus, and work have left some of us inspired and motivated, thank you all. 3. Yup! 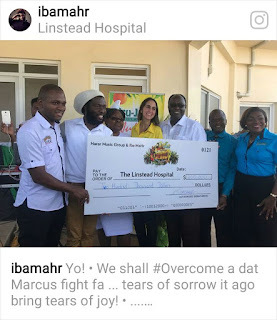 Iba Mahr also came through donating J$200k to the Linstead Hospital part proceed from the staging of his annual "Sound Di Alarm" Reggae Festival last December. Congrats Mr. Diamond Sox, we agree with you when you say, "we shall overcome..tears of sorrow it ago bring tears of joy!" 4. Keely B when we first knew him was working the studios of UIM. Years later when we caught up with him on Instagram, Keely became songwriter/singer working with the likes of Sean Paul, Tory Lanez, Shaggy, Migos, Damian Marley, Kent Jones, Usher and Mia Martina. Today, Keely Keyz reaps benefit from the Grammy Award-winning "Stony Hill" album by Junior Gong. 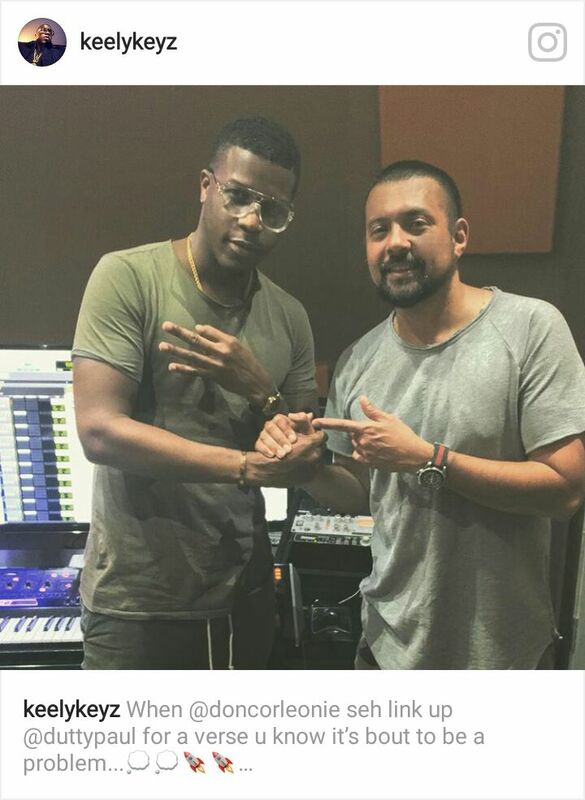 Congrats Keely Keyz that's a "real big deal!" 5. 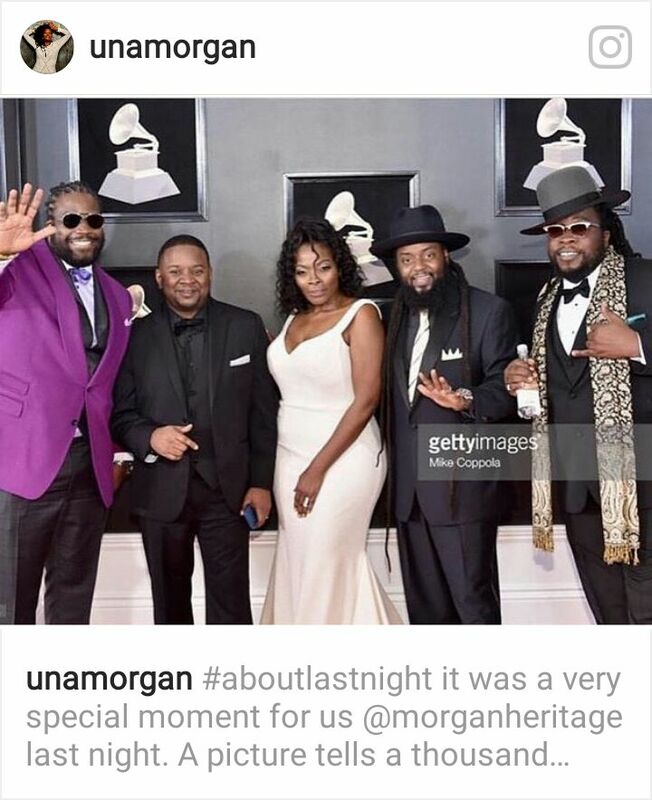 That moment when Una Morgan posts a pic of herself and her brothers "The Royal Family of Reggae" representing at the Grammys "a special moment for us" she stated. This woman is a tower of strength, a survivor and that's The Real Big Deal! "Love and hate can never be friends oh noooooo..."
Dennis Emanuel Brown was born February 1, 1957. His prolific career began in the late 1960s when he was just eleven (11) years old. 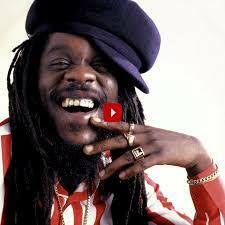 Dennis Brown recorded more than 75 albums in his lifetime and was one of reggae music most loved, lovers rock artist. 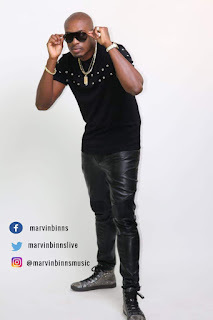 The legendary Bob Marley who would have celebrated his birthday a few days later was a fan of Dennis Brown his favorite singer and dubbed him "The Crown Prince of Reggae." On this day February 1, 2018, Dennis Emanuel Brown "The Crown Prince of Reggae" would have been 61 years old. He died July 1,1999 from cardiac arrest.